Firstly I bought this gorgeous long, bum covering jumper :) Match it with some black leggins and you've got a lazy day but strangely fashionable outfit :) And I got it for £22.50. 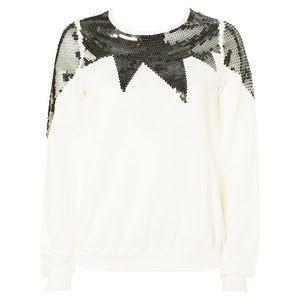 Secondly I got the White sweater with sequin neckline, detailing on front and back for £18.00. Its so strange, I had been bidding on this on ebay for weeks and constantly got outbid! Until today when it was finalled swapped from Buy It Now to £20 and Under Sale :) Which is cheaper then the amount I would have been spending with the postage. Now to Tuesday's show calendar. The panda one is super cute, but there something sensuell in the sequin one. love both! 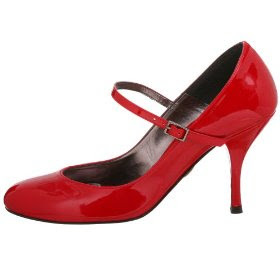 those red heels are really cute! Longtime! Hope you had a great Xmas/Y. 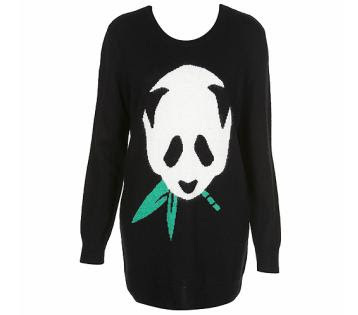 Cute jumper, there's a tiger one in Zara with my name on it. I've started my own blog, come, take a peek and join the family! Ooo an award :D Where...? Oooo these r two jumpers i have wanted 4 ages...can't believe they've gone in the sale! !definatley off to topshop 2moro!